In 1863, the Front Range of the Rocky Mountains was a wild and wooly place. Ute, Arapahoe and Cheyenne peoples lived nomadic lives, hunting bison and other game which flourished at the western edge of the Great Plains. Gold prospectors were among the earliest arrivals from the east. These fortune hunters headed for the nearby Rockies or just passed through on their way to California. A few settlers eked out a living on small and scattered homesteads, dirt farming and trapping or hunting. To some extent, goods and services were traded among these groups, but for the most part, it was-"every man for himself"! 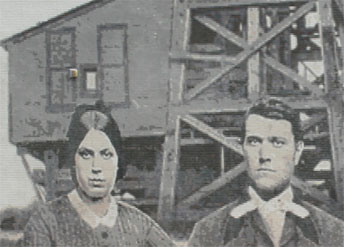 In June of that year, newlyweds Lafayette and Mary Miller joined an ox-team wagon train of fifty wagons and made their way across this country's vast heartland. After months of hard travel, the couple initially settled in Burlington, which later became Longmont. They left soon after to operate a stage stop along the Overland Trail between Denver and Cheyenne at the present site of the Coal Creek Farm. 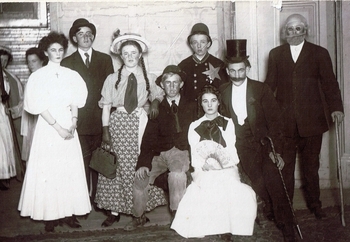 The couple moved to the Lafayette area in 1871 and began farming on land they acquired through the Homestead Act. 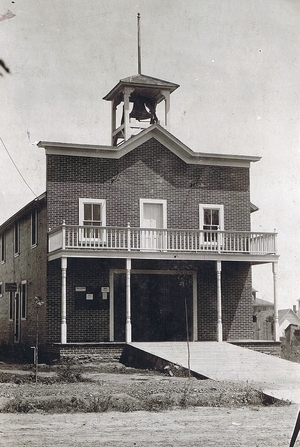 In 1874, the Millers moved to Boulder where Mr. Miller ran a butcher shop and served as town trustee. He was a member of the volunteer fire department and Mrs. Miller served on the school board. Lafayette Miller died suddenly in 1878. "Among the best conducted large farms in Boulder County is that carried on and managed by Mrs. Mary Miller, about two miles east of Louisville. The farm contains 1,280 acres, all under fence, about 1/2 of which is under plow and first class meadow, the balance in pasture. Large crops of oats, corn, and wheat are raised and great stacks of upland hay are plentiful in the field. Horses and cattle, of which there are about 100 or more head, are permitted to roam over the field during the winter and are in fine condition as the large enclosure affords ample feed for all with scarcely any care. Hogs by the score may be seen around the field near the barn. They all show signs of well-filled corn cribs. "The improvements, house, barn, shedding, granaries, fences, etc. are of the very best, and are put up with an eye to convenience and comfort. An orchard of several hundred trees, many of bearing size, together with a large vineyard of grapes, currents, gooseberries, and raspberries, besides a large patch of strawberries; a splendid grove of cottonwood and other shade trees surround the dwelling. The most noticeable thing on this place is the absence of weeds in the garden and orchard, the cleanliness of the barnyard, and the place for everything and everything-in-its-place; in fact, prosperity is visible in every nook and corner of this farm. Considering the size of this farm, there is not a better managed large farm in Colorado than that of Mrs. Mary Miller." Soon Mrs. Miller became interested in the prospect of coal mining on her property. Coal had been mined at Marshall, Colorado since 1859 and it was assumed that veins of coal ran throughout the area. In 1884, coal was discovered on the Miller Farm. The first shaft was sunk by John Simpson in 1887, heralding the beginning of coal mining in the area. In 1888, Mary Miller platted 150 acres for the town of Lafayette, which she named for her late husband. 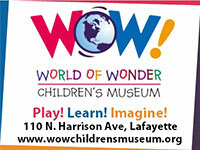 By July of 1888, the first houses were built and a second mine, the Cannon, was in operation. The town boomed! Within six months, there were two general stores, a livery stable and several boarding houses. In 1900, Mrs. Miller founded the Lafayette Bank and was elected President, distinguishing her as the only female bank president in the world. By 1914, there were two banks, four hotels, three restaurants, a "picture show", a bakery, a candy store, local newspaper, two poolrooms and a pickle factory. Lafayette also had a brick works and a power station that provided electricity to Boulder, Louisville, Longmont and Fort Collins. From the early days of mining, through the 1930s, the lives of Lafayette's mining families were controlled primarily by the Rocky Mountain Fuel Company. The large mining conglomerate literally prospered on the sweat of the men toiling underground. Miners and their families used company "credits" to purchase dry goods, groceries, hardware, clothing, and appliances from the company-owned store. Miners suffered poor working conditions, low wages, injuries, serious illnesses and death. Mining operations came to a halt many times through these troubled times as miners went on strike. In 1927, a bloody battle between miners and the guards at the Columbine Mine resulted in the slaughter of six miners. Eventually, through continued striking and unionization of the miners, these atrocities came to an end. As natural gas slowly replaced the use of coal for fuel, the mines began cutting production and finally closed. The Black Diamond Mine was the last Lafayette mine to close in 1956. 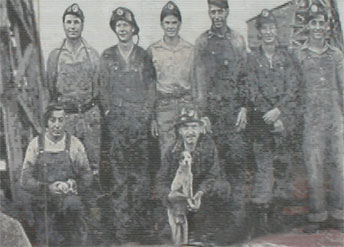 Many Lafayette miners continued to work at the Eagle Mine in Erie until it shut down in 1979. 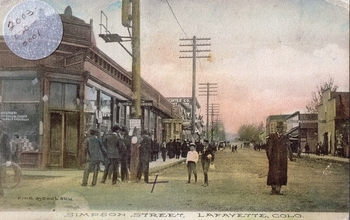 Through this period, agriculture again became the dominant economic activity in the Lafayette area. 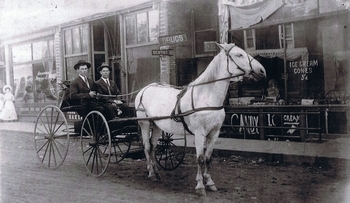 Rapid growth in Denver and Boulder brought Lafayette substantial residential growth and as the town grew, the farming-base economy shifted again to commercial enterprises and small industrial and manufacturing concerns. To learn more about Lafayette's history, see Survey and Settlement, by James D. Hutchison and Treeless Plain to Thriving City by the Lafayette Historical Society--both available at the Lafayette Public Library.